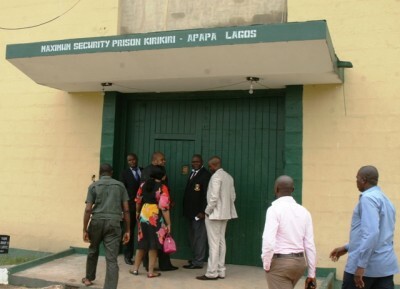 Two inmates of Kirikiri Prison enroll for doctorate degrees at the National Open University – Royal Times of Nigeria. Ahmed said,“We have collaborated with Ministry of Labour to give inmates Trade Test Grades one, two and three and for those who want to further their education; we create an enabling environment for them. For those furthering their education, some have done WAEC while some have proceeded to university for degrees. No fewer than 420 inmates are currently studying in NOUN and 10 are in 400 level,”. Adamu said that most of the inmates chose entrepreneurial courses to enable them become independent after serving their jail terms. He appealed to the NPS to provide an enabling environment for NOUN to provide necessary equipment for inmates at its study centres in prisons. Adamu said,“We focus our attention on making prisoner scholars; all the courses taken by inmates are free, from first degree to PhD level. “Hope should never be lost even when you are a prisoner, it is when you are educated that you will get your absolute freedom,”.